Sometimes will you feel life is boring? Maybe you should make some changes and try different things. Come on, friends, let the SIMTOO XT198 Rainbow aircraft illuminate your ordinary life! 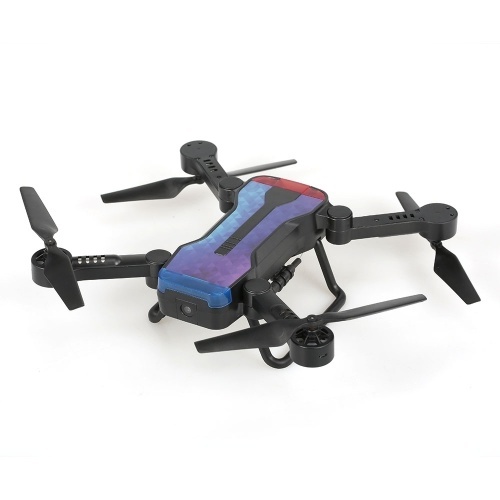 Foldable & flexible plastic aerofoil and fuselage can not only make the quadcopter portable which also preventing the drone itself or anything else from being hurt or damaged. 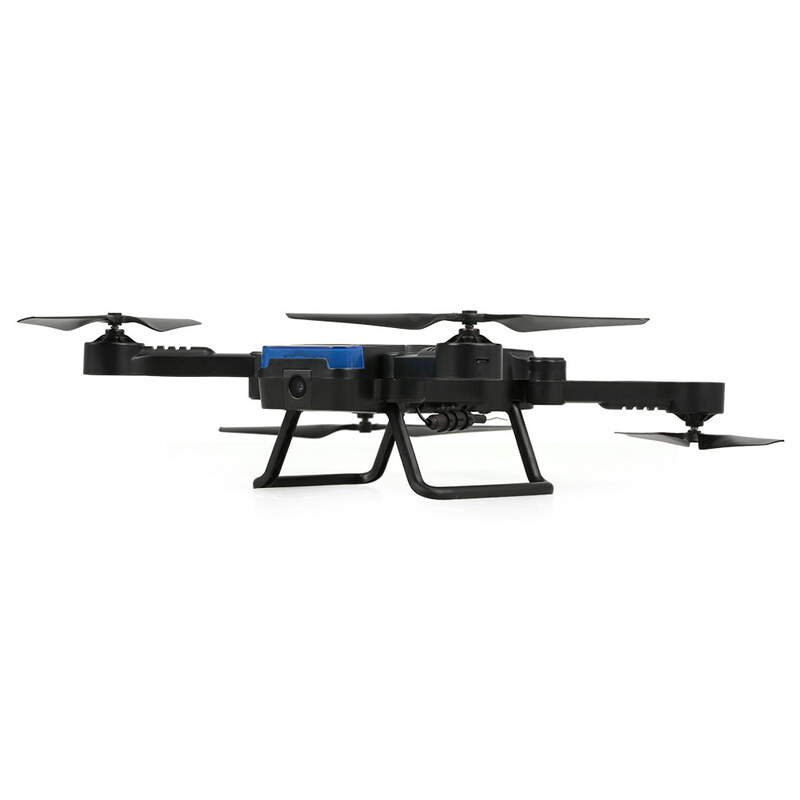 The high definition camera allows you to take quality aerial footage. 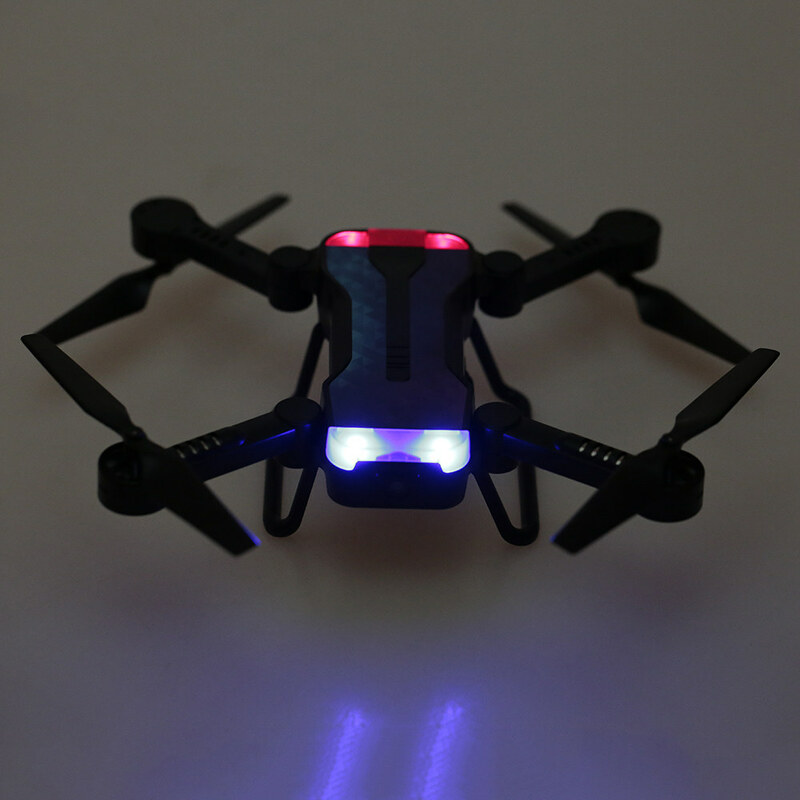 Equipped with the new "Optical Flow Positioning" feature, this drone will stay above you automatically, keeping the camera centered on what you want at all times and capturing your every move. It will give you a more extensive flight experience! 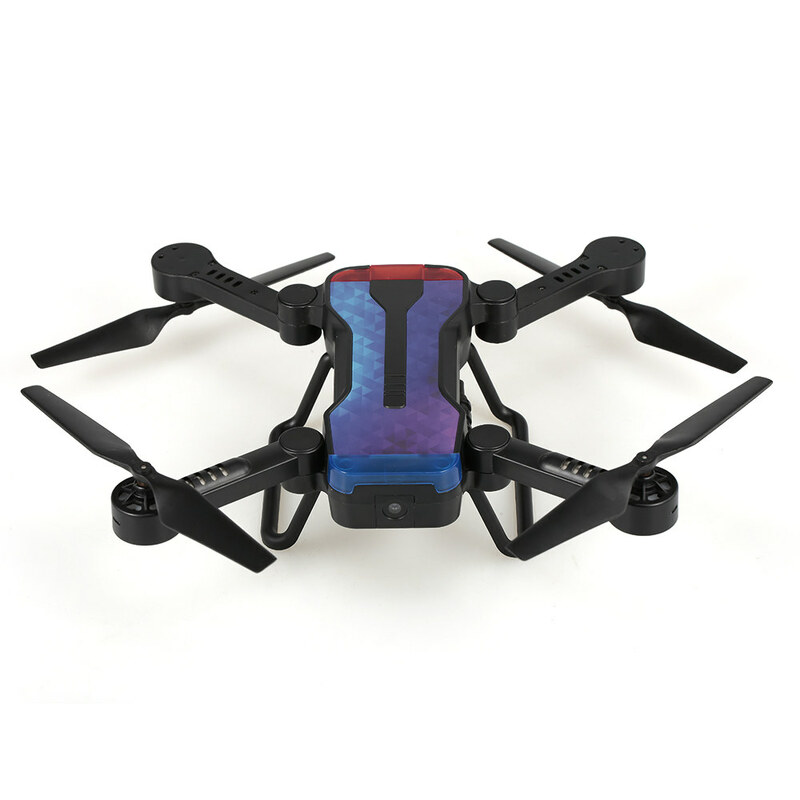 Functions: Optical flow positioning, Gravity mode, Wifi FPV, App control flight, altitude mode, one key start/landing, photo/video, emergency stop, headless mode, 360° roll. 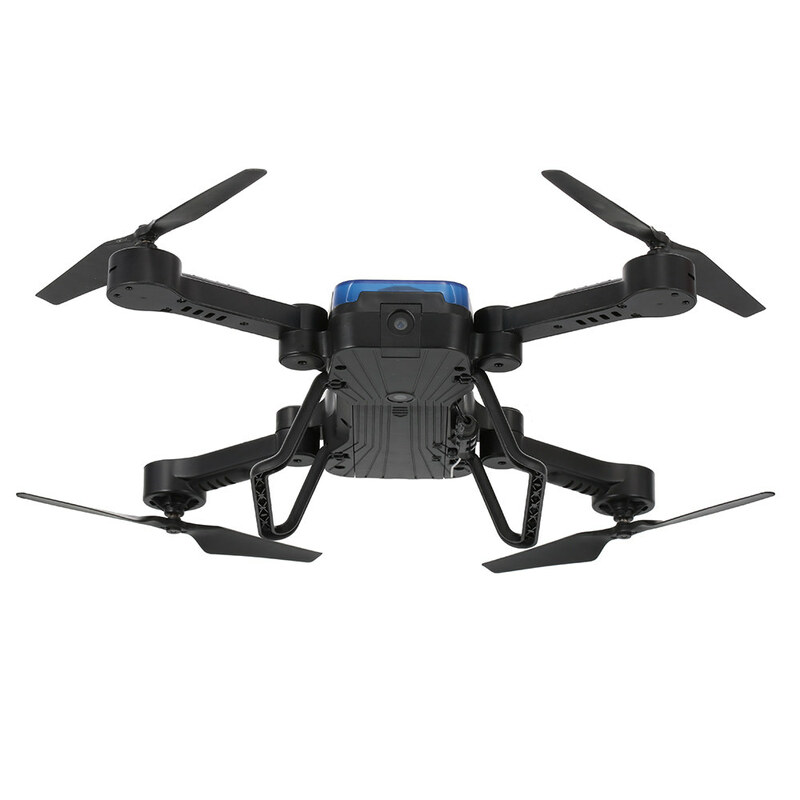 High-Lever Flight Stability: Combines cutting-edge processor with advanced optical flow position, making it highly sensitive to detect surfaces. 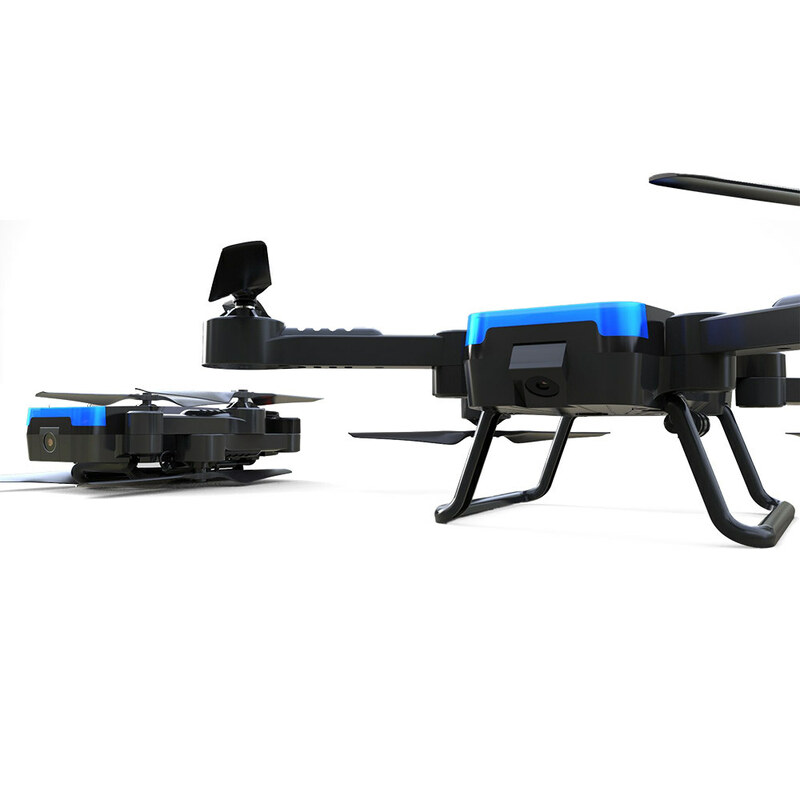 You will be able to make the drone hover at the designated spot even indoors. Path Flight and Function: The drone will fly following the path that you draw on your smart phone. 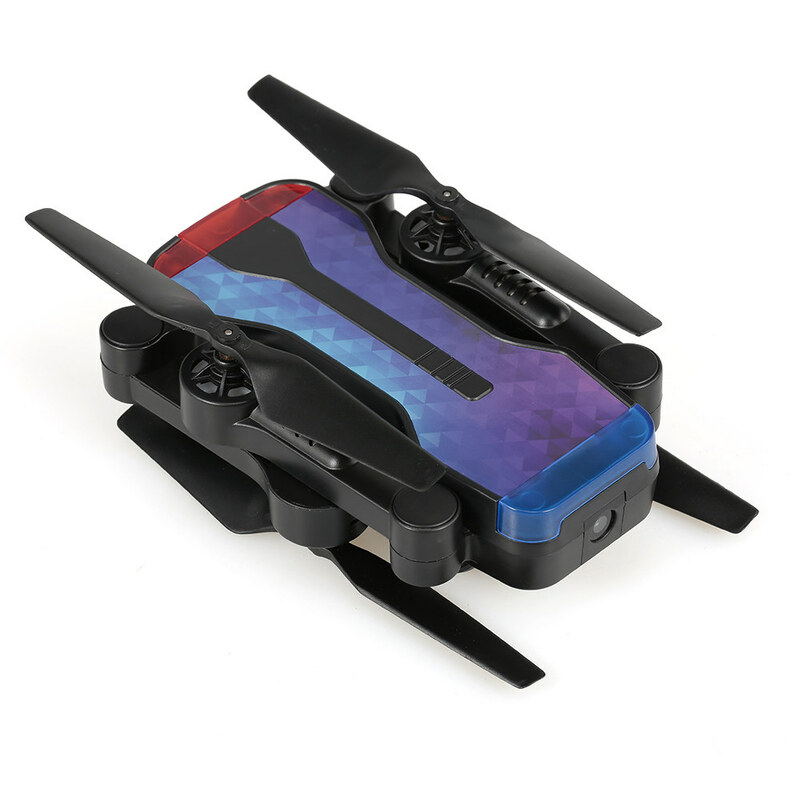 720P Wifi FPV Camera: Ideal selfie done, with 720P camera, catching every moment of your vacation from a birds-eye perspective. 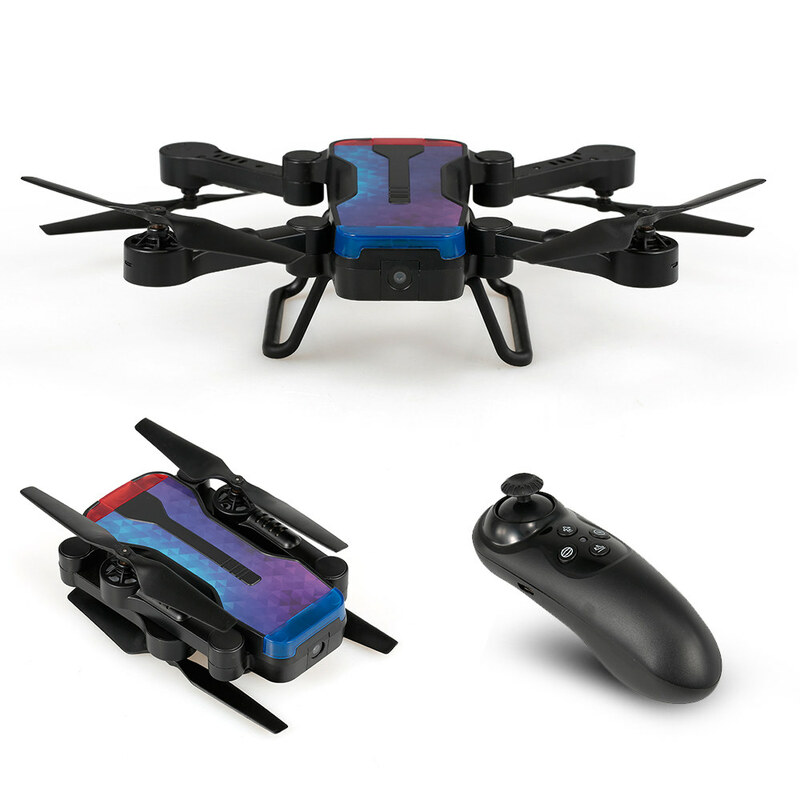 Wifi FPV transmission system with phone APP control will give you a exciting flying experience. 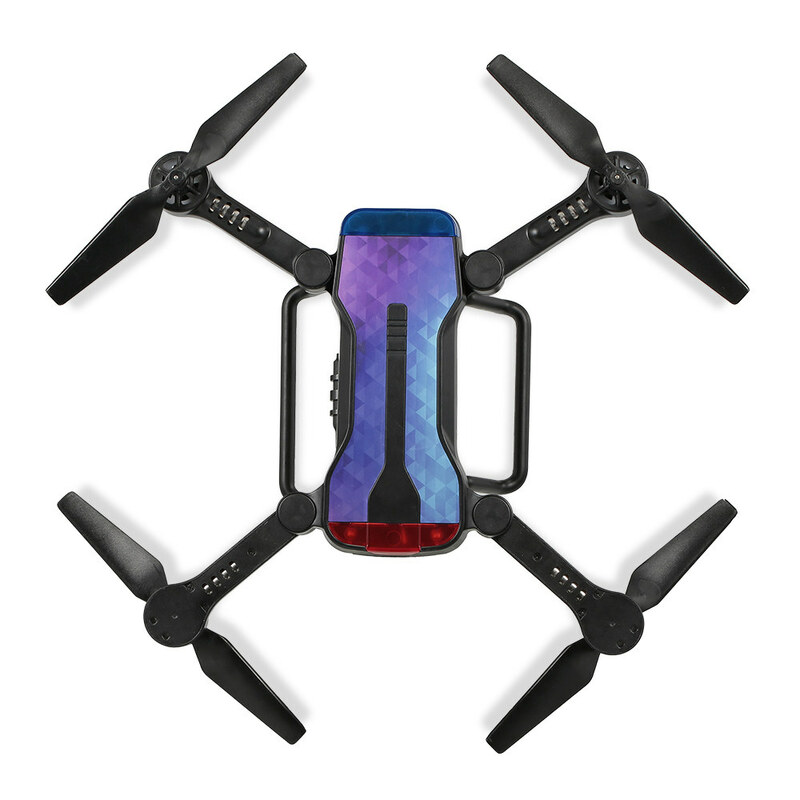 Simple control: Headless mode, altitude hold and one key takeoff and landing for easier operation, you will not have to worry about orientation and with the simple press of a button your drone will rise to a height or land, perfect for beginners. 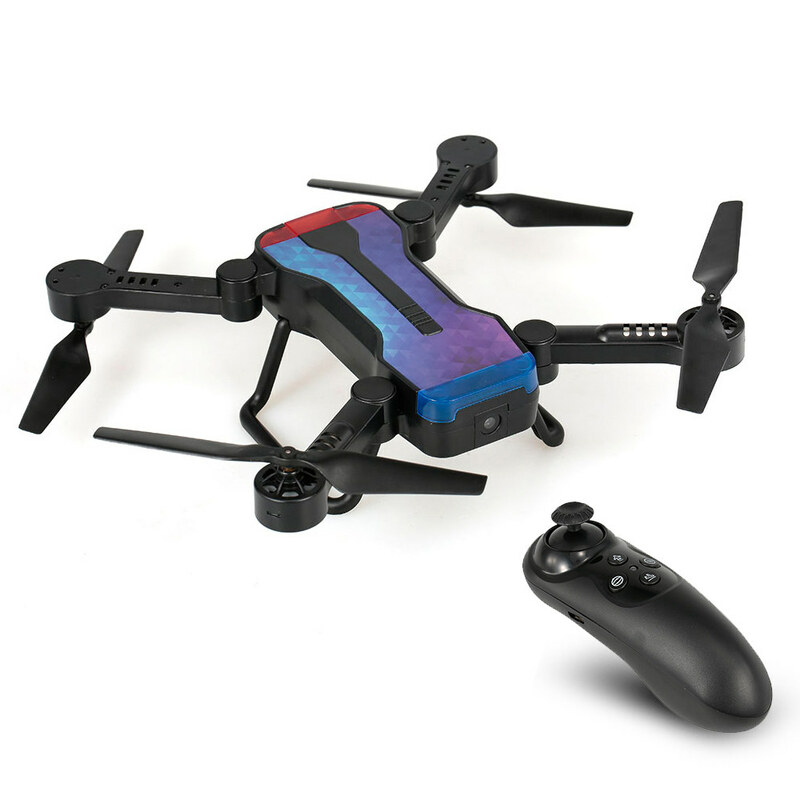 G-sensor Mode: Enable the small quadcopter to automatically follow the way you move your smartphone. Make the control be easily. * Pay attention that the optical flow positioning will be influenced by lighting condition and other environmental factors, please read the optical flow sensor instruction for correct operation. * Please do not use in situation of many WiFi options, there may be signal interference. If you have trouble to connect the drone's wifi, please try to turn it off and on again for several times. * If you have any problem, please contact our customer service. We'll do our best to answer for you. * TRUST OUR PROMISE: Make a research! You will know about the quality of our product and service. Welcome to contact us for a refund if you are unhappy with the purchase as soon as you receive the product.